COR-TEN®, a trademark of weathering steel, is a group of steel alloys able to form a stable rust-like layer if exposed to the weather for several years. This layer can obviate the need for painting and still protect the steel beneath. The aesthetic of this steel is changing in time, creating shadows and small imperfections, sustaining the uniqueness of the final look. 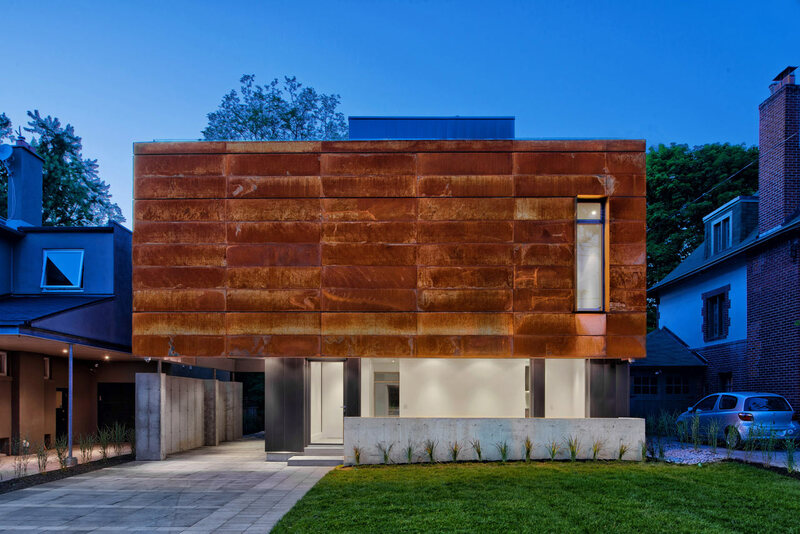 Cor-ten steel is oftne used in architecture, in the image an example of the Heathdale Residence, located in Toronto, Designed by TACT Design.